Last Thursday, my review of Wonder Woman was received with both outrage and ridicule, and reading those reactions, I felt sick. Some of the criticisms were unjust. Lines and descriptions were taken out of context and twisted to mean something they didn’t. People alluded to “leering” where I’d made a point of saying the film rejects the male gaze. You can find plenty of leering over Gal Gadot (and every other actress) elsewhere on the internet — not in my review. But to have to unpack my descriptions means, in the end, that they weren’t good or nuanced or sensitive enough to their ramifications. And it didn’t help that I reached out to Facebook friends with a gored-bull rant of my own that was then circulated. The lesson was learned on that score — and plenty of others. To begin at the beginning: When I wrote that Gadot had found a “perfect blend of superbabe-in-the-woods innocence and mouthiness,” it was a play on the phrase “babe in the woods.” And she is literally super. But “babe” is going to be salacious no matter the context, and “superbabe” is just asking for trouble. I have no idea, though, what the problem is with “mouthiness.” It’s a word I’ve used all my life to describe people — both male and female — who don’t sit and take guff from others, but give it right back. Pompous British higher-ups (all men) tell Diana what to do, and she tells them in essence to stuff it. That’s mouthiness, and I couldn’t enjoy it more. I also should have unpacked the parenthetical that “Israeli women are a breed unto themselves, which I say with both admiration and trepidation.” My God, do I stand by the sentiment. They live in the pressure cooker that is Israel, where they have to stand up to a lot of angry Jewish men. (Doubt that characterization? Try driving in Tel Aviv or Jerusalem.) They serve in the army alongside men. (Gadot herself was in the Israel Defense Forces.) As for the word breed, it’s nothing more than a synonym for kind or sort or ilk, as in “a new breed of journalist.” But the line was both loaded and unclear. It was a mistake. This is another widely quoted bit: “She looks fabulous in her suffragette outfit with little specs, but it’s not until she strips down to her superheroine bodice and shorts, pulls out her sword, and leaps into the fray that she comes into her own. More focused on world peace than bombs and bullets, she’s on an ecstatic plane of her own.” That was meant to celebrate the liberation — the uncorset-ing — of a superheroine. The revelation of her costume comes after a long scene in which she tries on fabulous clothes and settles on a period suffragette outfit that covers her from head to toe. She looks great — it shouldn’t be a provocation to say that — but she’s only “Wonder Woman” when she strips them off and flings herself into battle. Is she amazing to look at? I thought that was the whole point. Or maybe not. 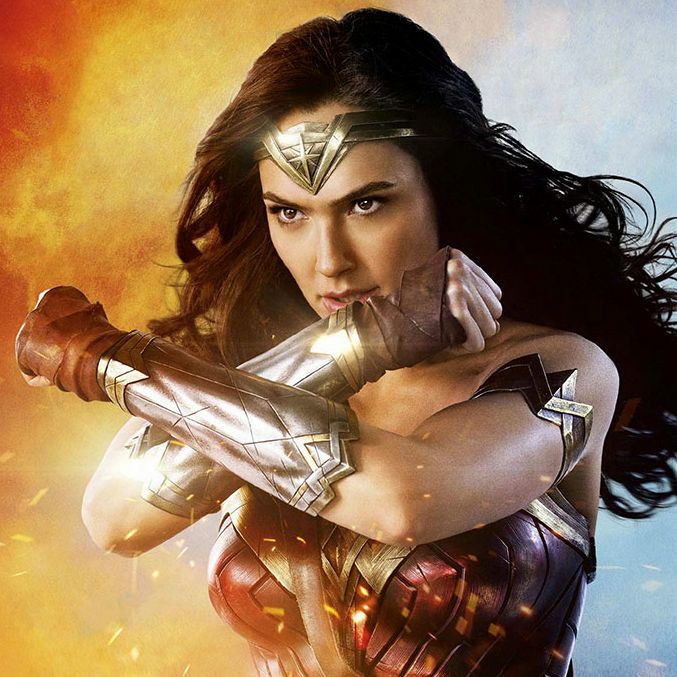 A female genre scholar (a professor and author) who didn’t like the film wrote me, “I couldn’t stop staring at Gadot because the camera couldn’t either (fair enough, she’s a beauty), but it wound up being more distracting than anything else.” Here, I have no choice but to throw up my hands and say that we need more of the female gaze onscreen. That is true. I didn’t take the film as seriously as others because I didn’t see it as a breakthrough. Directors (and critics and scholars) have been grappling with the idea of gender in male-dominated action films for decades. Kathryn Bigelow’s cop drama Blue Steel with Jamie Lee Curtis was a major foray into this area. Twenty years ago, TV’s Buffy the Vampire Slayer changed the notion of female superheroism forever, creating a character so complex and torn, yet finally so powerful, that she continues to loom large. Television has been full of superheroines (among them Xena), while Scarlett Johansson in The Avengers and Jennifer Lawrence in the X-Men series are powerful fighters who best smug men left and right (although they aren’t, admittedly, their films’ major characters). But in the context of this spate of comic-book movies (which I consider a blight, but that’s another subject) I underestimated how much a superheroine at the center of a woman-directed film would mean to many people, and descriptions I considered lively and complimentary would come across as demeaning. Moreover, if Wonder Woman will empower women at this moment in history — in which reproductive rights are imperiled, and an admitted groper is working to undo decades of gains for women — then some of the criticisms of my review are just. I reserve the right to think that this is not, overall, a very good movie. But it is an important one.